Covert Pro 3.0.20 was available as a giveaway on March 25, 2016! 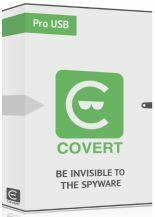 COVERT Pro - an innovative solution to ensure total privacy while working on computer. It protects against spyware and has instant messenger with encryption. When working in secure platform, all user’s actions in all applications (browsers, email clients, office software, messengers, etc.) are safely hidden. Capturing data from keyboard input and monitor screen is blocked. Using special features of COVERT Pro (Network monitor, Driver monitor, System processes, System services) allows you to detect and remove all hidden applications. The program also allows you to block the microphone. How would you improve Covert Pro 3.0.20? COVERT Pro USB has the same functionality as the COVERT Pro, but installs on a drive and can protect user’s work on any Windows PC. You can connect this USB flash drive to unlimited number of PCs. COVERT Pro USB allows you to send and receive encrypted messages everywhere. After inserting this USB flash drive in any PC and choosing “secure messenger” feature, you will get all the messages that have been sent to you by other messenger’s users. 3. You will see a registration key that is already entered in the registration field. Press Register. 2. For hiding your actions from spyware and monitoring tools, log into secure platform. To do this, in the main window, click on the «Login to the secure platform» (button with COVERT logo). a. Press the «Starting programs» button. In the opened Windows Explorer window locate the application and run it. b. You can assign frequently used applications for quick launch buttons. To do this, click on the «Settings» or any numeric button in the upper left corner of the main interface. The settings window opens in which you need to specify program path under each button. 4. For strengthening your protection, you can use special monitors to search and remove sophisticated spyware: “Driver monitor”, “System processes” and “System services”. Their functions are described in the Help, which can be accessed by pressing the «F1» button. 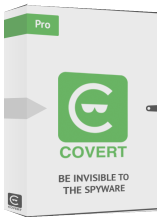 In video tutorial you can see how to use spyware detection and how to begin to use the messenger with encryption: https://covert-pro.com/video/. 3. After changing the settings of the testing server Covert messenger will work through the user's server only. Please configure your server for messaging (Read the HELP. Section “My server”). I am a Senior Software Developer who is trained in SECURITY software development (specifically for Bank ATM devices, including Card Readers/Scanners, etc. ), so I know what goes on in the development of this kind of software. Wanted to share my background so you know where I am coming from. It is very dangerous NOT to inform the user when and if the software goes to an external IP address or ANY other connection outside the network domain. You should probably create either a pop-up box that WARNS the user of where it is going and why, OR a flat text box within the menu that informs them of this BEFORE they accept that action. ALWAYS GIVE THE USER A CHOICE. All the software (database design before I got into Banking) I have ever developed always INFORMED the user BEFORE it went elsewhere by GETTING THE USER'S PERMISSION. In the case of our ATMs, of course we had to work with the Banks and their ATM devices to let THEM know what we were doing, so the user of the ATM, the customer, does not need to be informed because we are programming under GOVERNMENT regulations and security protocols. But, of other software and its users, It is better to be transparent as some users do not understand what is going on and will immediately be suspicious, especially if they have a desktop IP address informer or top-notch AV/Firewall protocols in place, as I have that tells them you are now at another IP address or that your PC has connected somewhere externally. You need to keep them informed in whatever your software is doing or where it is connecting to. I would love to try this software, but I have developed my own and therefore do not need it, but it is the start of a great beginning for you. I hope you consider ALL the possible black hat actions that can be taken against your software and prepare for those as you develop your software to be better than it is now. I am a White Hat hacker who actually goes to the Dark Net quite often to see what the Black hatters are up to, just so I can be informed and stay ahead of their evil. GOOD LUCK to your success! SW Developers of Covert Pro: I am a Senior Software Developer who is trained in SECURITY software development (specifically for Bank ATM devices, including Card Readers/Scanners, etc. ), so I know what goes on in the development of this kind of software. Wanted to share my background so you know where I am coming from. It is very dangerous NOT to inform the user when and if the software goes to an external IP address or ANY other connection outside the network domain. You should probably create either a pop-up box that WARNS the user of where it is going and why, OR a flat text box within the menu that informs them of this BEFORE they accept that action. ALWAYS GIVE THE USER A CHOICE. All the software (database design before I got into Banking) I have ever developed always INFORMED the user BEFORE it went elsewhere by GETTING THE USER'S PERMISSION. In the case of our ATMs, of course we had to work with the Banks and their ATM devices to let THEM know what we were doing, so the user of the ATM, the customer, does not need to be informed because we are programming under GOVERNMENT regulations and security protocols. But, of other software and its users, It is better to be transparent as some users do not understand what is going on and will immediately be suspicious, especially if they have a desktop IP address informer or top-notch AV/Firewall protocols in place, as I have that tells them you are now at another IP address or that your PC has connected somewhere externally. You need to keep them informed in whatever your software is doing or where it is connecting to. 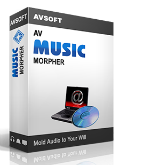 I would love to try this software, but I have developed my own and therefore do not need it, but it is the start of a great beginning for you. I hope you consider ALL the possible black hat actions that can be taken against your software and prepare for those as you develop your software to be better than it is now. I am a White Hat hacker who actually goes to the Dark Net quite often to see what the Black hatters are up to, just so I can be informed and stay ahead of their evil. GOOD LUCK to your success! Thank you for your suggestions and information. We recommend for corporate users to configure their servers to exchange messages. Then there will not be any connections outside the network domain. Our messenger allows to do it very simple. CovertPro, What about non-corporate users? I think most of us here use these softwares for personal use. I was going to download this, as it does sound amazing but after Software Babe's post, I'll have to pass. Not-corporate users can also change the transit server. There are no restrictions in our program. But not-corporate users do not have strict security policies for using network domains. Our company is grateful to all visitors for leaving comments and evaluation of our program. CovertPro, Our company is grateful to all visitors for leaving comments and evaluation of our program. I installed the program successfully but I cannot find it on my computer. I am running windows 10 64 bit. I searched for the program but the only thing that shows up is the installer. How do I find the program so that I can register it? Can't you find the program folder or the executable file? If you can't find just the app, then open the archive folder (Password 1111) Restore COVERT - Pro.zip and recover your lost file. If was not created a folder with the program, so you have an antivirus that aborts the installation process. You need to open it and add the installer in the list of trusted applications. Downloaded and installed just fine. During installation, as always, I tried making it a portable Cameyo app. Both installations work well. Unlike others, I am just a moderately advanced home user and so my concern for "military grade" stealth is much less acute. I do like to know that I am taking steps to be as safe as possible from malware and loss of privacy/identity. Thus I feel it is really premature for us to declare this a "magic-bullet" right out of the box. Rather, I will continue to use Covert Pro over the coming weeks and see for myself its effectiveness over time. But so far, it seems to be stable and quite unobtrusive which is a what we expect from good software. So a tentative thumbs up from me. Downloaded and installed just fine. During installation, as always, I tried making it a portable Cameyo app. Both installations work well. Unlike others, I am just a moderately advanced home user and so my concern for "military grade" stealth is much less acute. I do like to know that I am taking steps to be as safe as possible from malware and loss of privacy/identity. Thus I feel it is really premature for us to declare this a "magic-bullet" right out of the box. Rather, I will continue to use Covert Pro over the coming weeks and see for myself its effectiveness over time. But so far, it seems to be stable and quite unobtrusive which is a what we expect from good software. So a tentative thumbs up from me. Not sure how secure the messenger is if the key can only be 6 numeric digits! anyone hosting such a server could brute force 000000 to 999999 pretty quick and snoop on messages passed between coverts users. Now if it was an AES-256 serverless peer to peer messaging system with a secure way to negotiate the AES key, then I might consider it fairly secure. Not sure how secure the messenger is if the key can only be 6 numeric digits! anyone hosting such a server could brute force 000000 to 999999 pretty quick and snoop on messages passed between coverts users. Now if it was an AES-256 serverless peer to peer messaging system with a secure way to negotiate the AES key, then I might consider it fairly secure. 1. The encryption key set by the user. The key length can be from 4 to 6 digits. 2. A new encryption key can be set for each message. 3. Messages are not stored anywhere. They are deleted from server immediately after reading. 4. The user chooses the server for the transit of messages. The server can be changed as often as the user wishes. 5. No registration needed for correspondence . User data is not stored anywhere. Do you know a lot of messengers with this functionality? We do not know any. TK, The question is not in the length of the encryption key. Safety of correspondence is provided by the whole complex of measures: 1. The encryption key set by the user. The key length can be from 4 to 6 digits. 2. A new encryption key can be set for each message. 3. Messages are not stored anywhere. They are deleted from server immediately after reading. 4. The user chooses the server for the transit of messages. The server can be changed as often as the user wishes. 5. No registration needed for correspondence . User data is not stored anywhere. Do you know a lot of messengers with this functionality? We do not know any. your point 1 is NOT a security feature but a flaw, if both must enter the same short simple numeric key with no secure method of exchanging said keys then it's a weakness not an asset. your point 2 like point 1 is not a security feature as there is no built in secure way to exchange the short simple key. If the message is not imediatly read it remains on the server until read... that is an admission of it being temporarily stored awaiting readingg... is there currently any timeout whereby the stored deffered messages get erased securely and not simply "deleted". 4 I see no setting to choose servers let lone choose a server that the users have ANY control over at all! 5 This also means that you have no idea who you are comunicating with, could be the intended recipient or a third party on a server terminal screen brute forcing messages due to the simple key used and being either the man in the middle in a man in the middle attack or spoofing the intended recipient in entirety. The concept is not new and is used by terrorist cells all the time, but not in the primitive and weak system bolted on to Covert Pro. CovertPro, your point 1 is NOT a security feature but a flaw, if both must enter the same short simple numeric key with no secure method of exchanging said keys then it's a weakness not an asset. your point 2 like point 1 is not a security feature as there is no built in secure way to exchange the short simple key. your point 3 is simply not true the encrypted message is sent to a third party server and stored at least in RAM on the server and could be at any time processsed independatly and covertly. The end user has no way to ensure the server has not been hijacked or used for inteligence gathering by an unfriendly government... If the message is not imediatly read it remains on the server until read... that is an admission of it being temporarily stored awaiting readingg... is there currently any timeout whereby the stored deffered messages get erased securely and not simply "deleted". 4 I see no setting to choose servers let lone choose a server that the users have ANY control over at all! 5 This also means that you have no idea who you are comunicating with, could be the intended recipient or a third party on a server terminal screen brute forcing messages due to the simple key used and being either the man in the middle in a man in the middle attack or spoofing the intended recipient in entirety. there have been several 3rd party messengers that added strongly encrypted layers to existing mesaaging mediums including peer to peer chat systems in a manner that was called OTR chatting (Off The Record) The concept is not new and is used by terrorist cells all the time, but not in the primitive and weak system bolted on to Covert Pro. Unfortunately you do not understand the concept of our messenger. Of course it would be possible to make an encryption key length of 18 digits or more. But it will be inconvenient to use and frequently change it. Think about why a credit card pin has a length of only 4 digits. We know that some messengers are using long keys. But if it is decrypted, hacker can read all the messages. It is useless to decrypt one message in our messenger, because the following message may have a different encryption key. Of course it would be possible for messages transit use SFTP instead of FTP. But it would be much more complex to setup new server for normal users who do not have special knowledge. For exchange of new encryption keys you do not need "built in secure way to exchange the short simple key." Turn on your imagination. There are so many variants for solving this problem. Here is one of them. Only you and your friend know the date of your acquaintance. You verbally agree with each other that every day the key will be equal to the that date plus today's date. For example, you met May 15, 2015. This is 150515. Today is 270316. The sum of these numbers will give you a new key for every day. We are grateful to you for your active participation in the discussion. As we wrote before starting the promoting on this site that this version has no technical support. If you still have questions, suggestions and wishes, you can buy a commercial version on our website and ask us unlimited questions. It was the last response to your comments. TK, Unfortunately you do not understand the concept of our messenger. Of course it would be possible to make an encryption key length of 18 digits or more. But it will be inconvenient to use and frequently change it. Think about why a credit card pin has a length of only 4 digits. We know that some messengers are using long keys. But if it is decrypted, hacker can read all the messages. It is useless to decrypt one message in our messenger, because the following message may have a different encryption key. Of course it would be possible for messages transit use SFTP instead of FTP. But it would be much more complex to setup new server for normal users who do not have special knowledge. For exchange of new encryption keys you do not need "built in secure way to exchange the short simple key." Turn on your imagination. There are so many variants for solving this problem. Here is one of them. Only you and your friend know the date of your acquaintance. You verbally agree with each other that every day the key will be equal to the that date plus today's date. For example, you met May 15, 2015. This is 150515. Today is 270316. The sum of these numbers will give you a new key for every day. We are grateful to you for your active participation in the discussion. As we wrote before starting the promoting on this site that this version has no technical support. If you still have questions, suggestions and wishes, you can buy a commercial version on our website and ask us unlimited questions. It was the last response to your comments. "Think about why a credit card pin has a length of only 4 digits." Credit card companies KNOW 4 digits is inherantly insecure so they pin-lock their cards if the wrong pin is entered more than a few times, making it impossible to brute force attack a credit cards PIN. You have no such system and no such system can be enforced on a reverse engineered offline brute force decryptor tool. With a properly designed brute force decryptor tool it would be able to try all possible key combinations very rapidly on each message so if the key was reset on every message it would not take significantly more effort to find the next key. Even then it would be a fool that uses credit card companies security measures as any form of gold standard, of the availble systems British banks chose the cheapest non-encrypted card to terminal comunication and also use unencrypted contactless comunications too. All easily sniffable, which is why cards are so often cloned. I note that your FTP server messenger /SW folder has several stored messages days old lying around. I do suggest you lock down your FTP server permissions as it can be abused to store illegal material in its current configuration. The account you have setup for the covert messenger has fat too many rights, it should not be able to create new folders or delete folders on your server. CovertPro, Again you seem to have missed the point, you say: "Think about why a credit card pin has a length of only 4 digits." Credit card companies KNOW 4 digits is inherantly insecure so they pin-lock their cards if the wrong pin is entered more than a few times, making it impossible to brute force attack a credit cards PIN. You have no such system and no such system can be enforced on a reverse engineered offline brute force decryptor tool. With a properly designed brute force decryptor tool it would be able to try all possible key combinations very rapidly on each message so if the key was reset on every message it would not take significantly more effort to find the next key. Even then it would be a fool that uses credit card companies security measures as any form of gold standard, of the availble systems British banks chose the cheapest non-encrypted card to terminal comunication and also use unencrypted contactless comunications too. All easily sniffable, which is why cards are so often cloned. I note that your FTP server messenger /SW folder has several stored messages days old lying around. I do suggest you lock down your FTP server permissions as it can be abused to store illegal material in its current configuration. The account you have setup for the covert messenger has fat too many rights, it should not be able to create new folders or delete folders on your server. I'm not sure I understand what this does. is it like a sandbox? it says it hides all my actions, and yet what I do from a program running under Covert, stays after I shut it down and check from outside Covert. so how does it protect me from viruses from running anything? I'm not sure I understand what this does. is it like a sandbox? it says it hides all my actions, and yet what I do from a program running under Covert, stays after I shut it down and check from outside Covert. so how does it protect me from viruses from running anything? You can create documents, write emails, open the browser and visit social networks inside secure platform - all the things you normally do at the computer. Spyware program can not intercept the information that you use inside the platform. Am* R***, It's not a sandbox. You can create documents, write emails, open the browser and visit social networks inside secure platform - all the things you normally do at the computer. Spyware program can not intercept the information that you use inside the platform. I installed the program, but I cannot find it on my computer. When I search "covert" the installation program is the only thing that shows up. It is not in my start menu. I am running Windows 10, the version you get when you update to it. It is 64 bit. I tried this several times. How do I find the program to register it? Sue, Someone on a past giveaway had the same problem and was also on Win10. Sorry but I don't recall the offer or the exact solution but involved something needing to be turned "off," I believe in Win10. It was fairly recently so you might want to read posts from, say, the past 7-10 days of giveaways, maybe searching the page for Win10 or Win 10 or some variation of that. It was under the "GOTD comments" and not Facebook comments. I installed the program, registered, and it went fine on windows 8.1. However, I pushed "Login to the secure platform" THEN THE SCREEN TURNED BLUE & did NOT go through. Now I have uninstalled, restarted, and reinstalled. I even allowed it through my firewall of my anti virus AND the computer itself, but when I press for it to open, it (any part of the program's shell) no longer opens.. AT ALL. And I keep restarting the program and it no longer pops up. And yet it's still listed as an open process in the task manager but will not show for me. Could'vebeenbetter, Also when the screen turned blue and froze, I pushed "end task" in task manager and it showed the administrators background and toolbar and changed MINE to it. It went downhill from there. Cannot find an answer to the question that if this gets installed on a laptop will there be issues when roaming? IE: multiple outside servers at other locations. If your laptop has Internet access, it does not matter where are the servers for messaging. Messenger has very small traffic. Mike OD, If your laptop has Internet access, it does not matter where are the servers for messaging. Messenger has very small traffic. GAOTD covers Covert Pro only. jobardu, GAOTD covers Covert Pro only. Hi, Installed on Windows 10 no problem. Just wondering if the program will ever be for french. We are planning to have French interface in this year. plusplus, We are planning to have French interface in this year. You can make yourself a French interface. In the program folder there is a language folder which contains the files with the languages to the program. Copy the file with any language. Call it French. Open and replace all the words inside this file to the French. Choose this file In the language selection menu. The program menu will be in French. plusplus, You can make yourself a French interface. In the program folder there is a language folder which contains the files with the languages to the program. Copy the file with any language. Call it French. Open and replace all the words inside this file to the French. Choose this file In the language selection menu. The program menu will be in French. Thanks for awesome freebie - indeed a generous offer, I look forward to try. CovertPro, That's a smart tip. Thanks a lot, CovertPro. However, you can't expect these froggies to speak anything else than French. That's a well known fact :o) Thanks for awesome freebie - indeed a generous offer, I look forward to try. CovertPro, and if plusplus does their own french translation I'm sure you be willing to reward them for the work if they shared the french language file with you to save you hiring someone to do it for you? I just debugged the main program with ASCII editor and found multiple references to external connections and a home base short cut for invisible background connection, therefore, uninstalled. At the time of launch messenger requests server's data - it must know where to go. Moreover, in our messenger you can change the server settings for the transit of messages. All messengers are connected to their servers. Of course, the program has external links - checking for new versions and the home page. Рerhaps you have seen how through the network monitor third-party programs connect to the Internet and think that that were Covert Pro connections. CovertPro, thanks for the reply, my point is that if any developer of such software can communicate in the background without me knowing when and what info was exchanged, presents security risk in my book. The concept is great, but not from security point of my view. What happens if an external server is compromised? CovertPro, thanks for the reply, my point is that if any developer of such software can communicate in the background without me knowing when and what info was exchanged, presents security risk in my book. The concept is great, but not from security point of my view. What happens if an external server is compromised? Our program does not make any additional communication in the background. Only with the transit server. The external server stores encrypted messages for a very short time. Immediately after the message is read by the recipient, it will be deleted from the server forever. To increase security, you can specify your own server for messages transit. And regularly change the settings for this server. CovertPro, can we change the server settings to a messaging server WE can host and have control over? Can we have the server component too? Also how do we change these messenger server settings? It's not readily apparent on the messenger GUI or in the main programs Setting window. CovertPro, can we change the server settings to a messaging server WE can host and have control over? Can we have the server component too? Also how do we change these messenger server settings? It's not readily apparent on the messenger GUI or in the main programs Setting window. How to change the server described in the Help (F1). Section "Secure messenger" and then "My server"
TK, How to change the server described in the Help (F1). Section "Secure messenger" and then "My server"
Ah that's where it's hidden... Waaaah the messaging server is just an FTP server, not even SFTP! Unbelievable! Anyone that has access can intercept or copy the loosely encrypted messages as the stored messages deletion upon reading is a client side not server side function... And anyone with intermediate network access can get access through packet sniffing the plain text ftp logins. It may be considered novel to repurpose an FTP server into a messaging repository, but it's delusionl to think it's actually secure! Also considering that no normal FTP server will securely erase the previously stored loosely encrypted messages, previously deleted loosely encrypted messages can easily be forensically retrieved by any undelete program worth its salt and decrypted offline due to the limited strength encryption that is used. CovertPro, Ah that's where it's hidden... Waaaah the messaging server is just an FTP server, not even SFTP! Unbelievable! Anyone that has access can intercept or copy the loosely encrypted messages as the stored messages deletion upon reading is a client side not server side function... And anyone with intermediate network access can get access through packet sniffing the plain text ftp logins. It may be considered novel to repurpose an FTP server into a messaging repository, but it's delusionl to think it's actually secure! Also considering that no normal FTP server will securely erase the previously stored loosely encrypted messages, previously deleted loosely encrypted messages can easily be forensically retrieved by any undelete program worth its salt and decrypted offline due to the limited strength encryption that is used. Does the recipient of the secure messsge need Covert Pro on his computer? Of course the recipient should have COVERT Pro. This is two clients that communicate with each other. Tagfu222, Of course the recipient should have COVERT Pro. This is two clients that communicate with each other. 1) Is this secure(masked) platform in the cloud, or on the local pc ? I.e. are any files uploaded to the cloud, for Covert Pro to function ? Would any of these stop running, especially the VPN, firewall and AV, once I log onto the secure platform ? 3) If so, does this mean I need to stop all programs already running, including in the background, at the time I log onto the secure platform, and then run these again ? 4) If yes, and I do that, will the firewall and AV continue to protect my system as usual, or will the countermeasures used by Covert Pro render it incapable of running at the same time ? 5) Lastly, what about the dozens of processes already running in the background, at the time I log onto the secure platform -- could some of them not be needed by the programs launched from within the secure platform, after log on ? I hope you can provide some information on this, and if you do, I thank you for your patience, and for providing your product as a giveaway ! This is an interesting program in concept, my PC runs on Win 10 Pro 64 bit -- I have a few questions to which neither the link to the tutorial provided, nor the FAQ's on the developer's website gave any answers to : 1) Is this secure(masked) platform in the cloud, or on the local pc ? I.e. are any files uploaded to the cloud, for Covert Pro to function ? 2) I have, amongst others, the following startup programs already running, due to the Win 10 startup folder and / or programs' individual settings, once I would log onto the secure platform: Astrill Industrial VPN Zone Alarm Firewall Eset NOD AntiVirus WinPatrol Plus b.Lux etc Would any of these stop running, especially the VPN, firewall and AV, once I log onto the secure platform ? 3) If so, does this mean I need to stop all programs already running, including in the background, at the time I log onto the secure platform, and then run these again ? 4) If yes, and I do that, will the firewall and AV continue to protect my system as usual, or will the countermeasures used by Covert Pro render it incapable of running at the same time ? 5) Lastly, what about the dozens of processes already running in the background, at the time I log onto the secure platform -- could some of them not be needed by the programs launched from within the secure platform, after log on ? I hope you can provide some information on this, and if you do, I thank you for your patience, and for providing your product as a giveaway ! 1) No. On the local pc. It is prohibited to access the Internet and to send anything. Covert Pro complements anti-virus software, and does not replace them. We better protecting against spyware and we have the most secure instant messenger. 3) These applications can continue running in the background. 4) Yes, the firewall and AV will continue to protect your system as usual. 5) I'm not sure that I understand your question. With the function "System processes" you can control them and stop the ones that you do not need. It often happens that you stop the application but its processes remain in memory. And some applications always have running processe in the memory. For example iTune. Louis, 1) No. On the local pc. It is prohibited to access the Internet and to send anything. 2) All of these applications will run: Astrill Industrial VPN Zone Alarm Firewall Eset NOD AntiVirus WinPatrol Plus Covert Pro complements anti-virus software, and does not replace them. We better protecting against spyware and we have the most secure instant messenger. 3) These applications can continue running in the background. 4) Yes, the firewall and AV will continue to protect your system as usual. 5) I'm not sure that I understand your question. With the function "System processes" you can control them and stop the ones that you do not need. It often happens that you stop the application but its processes remain in memory. And some applications always have running processe in the memory. For example iTune. Thank you very much for your detailed answer, appreciate it ! Tried running it and registering on W10, no problems. In the list of running processes I selected one and then using the mouse button on it tried to get info on the file (search the Internet). Program opened my default browser (good) but then when the search for the file showed I selected one result and a new tab started to open and the browser froze (Firefox). Also Firefox asked to add some add-ons I had... annoying. Programs on top left are NOT there like in the picture on the web page. Why aren't 'standard' programs, like NOTEPAD, pre-loaded into those buttons? In settings one can change them is they wish (or are not installed)? Tried to add a suggestion, didn't work? I'd like the lists of programs, locations, MFG., etc. to be sortable, makes it easier to find things. Now seem the # order is the only way you can view the lists. Z-order is sort of a pain here. Have to use ALT-TAB to navigate due to absence of a taskbar. Tried running it and registering on W10, no problems. In the list of running processes I selected one and then using the mouse button on it tried to get info on the file (search the Internet). Program opened my default browser (good) but then when the search for the file showed I selected one result and a new tab started to open and the browser froze (Firefox). Also Firefox asked to add some add-ons I had... annoying. Programs on top left are NOT there like in the picture on the web page. Why aren't 'standard' programs, like NOTEPAD, pre-loaded into those buttons? In settings one can change them is they wish (or are not installed)? Tried to add a suggestion, didn't work? I'd like the lists of programs, locations, MFG., etc. to be sortable, makes it easier to find things. Now seem the # order is the only way you can view the lists. Z-order is sort of a pain here. Have to use ALT-TAB to navigate due to absence of a taskbar. Some versions of the browser Firefox are not working correctly inside of the platform. We recommend you to choose a different version or another browser. It is also desirable to close the application before the opening inside of the platform. Programs on top left are NOT there like in the picture on the web page because that corner is filled with programs for quick launch. You can assign these buttons to applications that frequently use yourself. Notepad needs for testing protection against spyware before the registration of the program. You can assign this button any other application. Really, ConvertPro doesn't work with and industry standard browser like FireFox and their suggestion is to lose the browser and keep their product? No thank you! The program works with Firefox . However, with some versions there is a problem. Its not our fault. Program compatibility is a global problem. We know many cases when large companies have application compatibility problems. This is a common situation in the market of software development. Brian Wilson, The program works with Firefox . However, with some versions there is a problem. Its not our fault. Program compatibility is a global problem. We know many cases when large companies have application compatibility problems. This is a common situation in the market of software development. Thanks but I have no intention of changing from Firefox for the sake of an untested add on program. CovertPro, Thanks but I have no intention of changing from Firefox for the sake of an untested add on program. CovertPro, if the program picked up my default browser, how do I change it inside of CovertPro then? It was selected when I searched the internet, even before I added Firefox to the buttons. As for the buttons, why not populate them (if possible) using default locations, like the picture. Saves time for the user needing to add them. There isn't even a SEARCH function to find programs and some users might not know where to look? CovertPro, if the program picked up my default browser, how do I change it inside of CovertPro then? It was selected when I searched the internet, even before I added Firefox to the buttons. As for the buttons, why not populate them (if possible) using default locations, like the picture. Saves time for the user needing to add them. There isn't even a SEARCH function to find programs and some users might not know where to look? CovertPro, well it seems the hang in Firefox in Covert Pro caused FF to lose at least my cookies. Maybe even more as I've not tried everything, but everywhere I go with it I have to SIGN-IN!!! Fix FF or at least do NOT start it, especially if it is the DEFAULT browser, put up a message and allow the user to select another!!! Again, how does one define Edge or IE as the browser for it to use? CovertPro, well it seems the hang in Firefox in Covert Pro caused FF to lose at least my cookies. Maybe even more as I've not tried everything, but everywhere I go with it I have to SIGN-IN!!! Fix FF or at least do NOT start it, especially if it is the DEFAULT browser, put up a message and allow the user to select another!!! Again, how does one define Edge or IE as the browser for it to use? In the next version you can pin the buttons to shortcuts from the desktop. Secure platform is designed for confidential work. You can assign shortcut buttons for any browser and run it inside the platform without changing the settings for the default browser out of the platform. IrvS, In the next version you can pin the buttons to shortcuts from the desktop. Secure platform is designed for confidential work. You can assign shortcut buttons for any browser and run it inside the platform without changing the settings for the default browser out of the platform. If only all GOTD giveaways were as easy to install as this. If you do not like the program, then you must use setup.exe to uninstall. CovertPro, well, that DOES NOT WORK!!! I keep getting CLOSE THE FILES FROM THE PROGRAM FOLDER AND REPEAT THE REMOVAL!!!!! I did NOT install it to the default location but to another drive in a test folder. Install file was on a different drive (who KNEW we had to keep the INSTALL file around, why NO UNINSTALL and why doesn't it show in Windows ADD/REMOVE?) and no matter where I point the location to, it NEVER completes, although it did take the icon off the desktop. HELP, or is it enough to just delete the folder? CovertPro, well, that DOES NOT WORK!!! I keep getting CLOSE THE FILES FROM THE PROGRAM FOLDER AND REPEAT THE REMOVAL!!!!! I did NOT install it to the default location but to another drive in a test folder. Install file was on a different drive (who KNEW we had to keep the INSTALL file around, why NO UNINSTALL and why doesn't it show in Windows ADD/REMOVE?) and no matter where I point the location to, it NEVER completes, although it did take the icon off the desktop. HELP, or is it enough to just delete the folder? Uninstalling of the program does not depend on the location of the folder with the program. To remove the program simply delete the folder. Can anyone find a review of the program, I can't. Such a useful and powerful program, if it works, which is at version 3 you would expect to have been tested by someone interested in computer security. Until I can find such a review I will hold off on installing it. Probably most dangerous thing you can have a computer, is a false sense of security. Can anyone find a review of the program, I can't. Such a useful and powerful program, if it works, which is at version 3 you would expect to have been tested by someone interested in computer security. Until I can find such a review I will hold off on installing it. Probably most dangerous thing you can have a computer, is a false sense of security. No, This review was made by an employee of the website softpedia Marina Dan. We can't even edit information about our program - we have no access. CovertPro, I think he means user reviews. Installed onto Win 10 with no problems. But can't find the Help file, and don't know how it works and how to use the program either. I shall be thankful for any help. Installed onto Win 10 with no problems. But can't find the Help file, and don't know how it works and how to use the program either. I shall be thankful for any help. This looks similar to a function available on Comodo firewall, but with the inclusion of secure messaging. Automatically registered. User the key folder " Readame " ?